How is this different from deleting the account? been received before the suspension. Locate the account that you wish to suspend from the list, and select the check-box before it. You can select multiple accounts for suspension at the same time. If you wish to re-enable a suspended account, simply select the suspended account from the user list and click on Unsuspend. 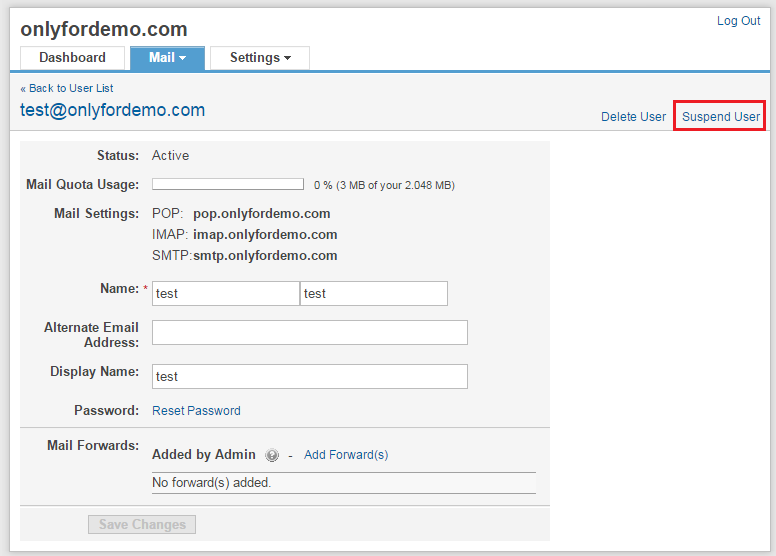 This will enable the user to login to the account and access email again.